webVDEO offers an 100% money back guarantee on web design services. If you aren't satisfied with our work, we will refund every penny you spent on your web design. We don't subtract any processing fees and we don't make you jump through hoops. If you don't like it, you get your money back. 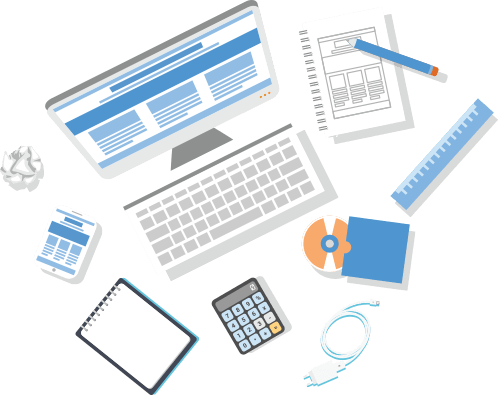 That guarantee helps inspire us to do the best possible web design work while providing our customers with a great sense of comfort and security. Over 99% of our customers are more than satisfied with the websites we build. If you aren't happy with the design itself or if you aren't happy with the design process, you simply need to advise us of that fact during the design process of your website. We will work and revise till you are 100% satisfied. Or else, if you opt to exercise your rights under the guarantee, during the design process, we will refund your money with NO Administrative Charges deducted whatsoever. It's that simple. 1) If you have already confirmed or approved the acceptance of the web design, we cannot provide a refund. Your approval represents an acceptance that serves as an implicit statement of satisfaction. 2) If you have failed to communicate with us for more than sixty days, any refunds will be at the discretion of webVDEO management. 3) If the company or person for whom the design was performed should close, change its name, or undergo other alterations rendering a design ill fitting, we cannot issue a refund. 4) If you purchased a "Special Offer" that does not constitute one of our standard packages as advertised. 5) Once you have taken final delivery. Other Web Design companies may claim to offer a guarantee, but they offer only fine print riddled with loopholes and hidden fees. Our policy is straight forward. If you aren't happy, just tell us during the design process and we will take care of you. Our liability is limited to the payment received from you against the project. In case you cancel a project we will have the right to sell or use the designs shown to you as we may deem fit. Should the Customer receive a refund, Customer acknowledges that it will have no right (express or implied) to use any Basic concept or other work product, content, or media, nor any ownership interest in or to the same. The Copyright remains with us and you are NOT allowed to use our designs even as design reference.